Cameron Sutherland, PLLC, advocates and defends consumer rights through national consumer rights organizations, regional and national conferences, and representing consumers who have been harmed by the unfair or deceptive acts and practices of established businesses and individual scammers. We can empower consumers to defend themselves and assert their rights against an array of unfair and deceptive acts and practices, debt collections, automobile and property repossessions, adverse credit reporting, automobile fraud, debt adjusting scams, predatory lending and foreclosures, and other wrongful acts and practices that victimize countless consumers every day. In many cases, the damages individual consumers suffer from these wrongful acts and practices are relatively small, but the businesses and scammers have much to gain by catching thousands, sometimes millions, of consumers in their schemes. When faced with the costs of bringing their claims to court, many consumers just can’t afford to assert their rights; others concede that it would cost more to go to court than to accept their loss. For these reasons, Congress and state legislatures passed laws that allow consumers to recover not only for their damages, but also for the court costs and attorney fees it took to win their case. Our attorneys are committed to helping consumers access legal services, defend themselves, and assert their rights through these kinds of “fee-shifting” claims. Washington’s Consumer Protection Act (CPA) broadly prohibits unfair and deceptive acts and practices in trade or commerce. The types of acts and practices covered by the CPA are almost as varied as the predators, con artists, opportunists, and privateers who perpetrate them: unfair or deceptive sales, leases, lotteries, mortgage buy-backs, auto repairs, optional insurance policies, extended warranties, opt-out subscriptions, and pyramid schemes are just a few of the ever-evolving scams that harm millions of consumers every year. Our attorneys take tremendous pride in carefully investigating these kinds of scams, vigorously defending consumers against the scammers, and aggressively pursuing justice and damages on behalf of the scammers’ victims. Regardless of whether or not you actually owe a debt, state and federal law offer powerful protections for consumers against unfair, deceptive, and abusive debt collection tactics by creditors and third parties. These include threatening, harassing, or abusive phone calls or other communications; demanding payment for debts consumers do not owe; exaggerating the amounts consumers do owe; improper collection notices; improper responses to consumers’ information requests; misrepresenting the consequences of nonpayment; and other tactics that undermine or disregard consumers’ and debtors’ rights. Our attorneys not only can defend you against creditors’ and collectors’ claims for payment, but we can also help you recover for damages caused by their wrongful collection tactics. We can help consumers who are subjected to wrongful repossession of automobiles and other property caused by breaches of the peace, improper notices, violations of consumers’ right to redeem (i.e., buy back) the property, inside sales or commercially unreasonable re-sales, exaggerated deficiencies (i.e., amounts still due) after resale of repossessed property, and related problems. Consumers’ credit ratings are one of the most important financial tools they have to buy or rent a home, get certain jobs, invest in opportunities, and purchase vehicles and other necessities. For these reasons, adverse information on a consumers’ credit report can have lasting and sometimes devastating effects on their daily lives and future prospects. We understand the importance of credit ratings and reports for everyday consumers, and our attorneys offer conscientious and diligent assistance to consumers who are victims of unfair, misleading, or inaccurate credit ratings and reporting procedures. Every year, millions of people are affected by unfair and deceptive auto sales and repair practices. 1 We provide counsel and representation for consumers who are subjected to deceptive pricing and advertising; high-pressure sales; odometer fraud; lemon laundering; undisclosed damage or ownership histories; dealers changing terms after the buyer takes possession (i.e., “yo-yo sales” and “bushing”); supplemental insurance and extended warranty schemes; warranty disputes; and exaggerated or undisclosed mechanics’ fees; among others. 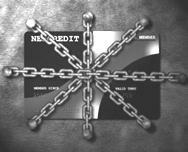 Consumers who are overburdened with debt can become targets for various debt adjusting scams that promise to reduce or eliminate debt, for a substantial fee, through schemes that make it nearly impossible for the consumer to do so. In 2011, the Washington Supreme Court expanded the scope of consumer protections against these schemes.2 We can help past and recent victims of unfair or deceptive debt adjustors recover from the damages they suffered and refocus on more effective ways of overcoming their debt. Millions of Americans have been harmed by the unscrupulous and predatory lending practices of banks, mortgage brokers, servicers, and others that undermined the nation’s economic stability and cost countless families their homes. Many desperate homeowners have since fallen victim to foreclosure rescue scams, robo-signed documents, unfair reverse-mortgage offers, and other schemes that targeted or took advantage of vulnerable homeowners. We can help consumers who are determined to defend themselves and hold these parties accountable for their wrongful actions. 1. See, e.g., Carolyn Carter, Jonathan Sheldon, John W. Van Alst, Automobile Fraud 13 (National Consumer Law Center 2012). 2. See Carlsen v. Global Client Solutions, LLC, 171 Wash.2d 486, 256 P.3d 321 (2011).